Hold the presses, we have an update on Rime! Ever since we saw the beautiful trailer for Rime back in 2014, we have been waiting and hoping for news of this game's release. However, the development went through a difficult patch, with Sony dropping the PS4 title and returning property rights to Tequila Works. Then, in August this year, Greybox and Six Foot announced they had partnered with Tequila Works to publish Rime in 2017. Further information, including gameplay and platform availability details, is to be revealed at the beginning of 2017. An early indicator is ratings classification, and indeed so far we have heard of two: Brazil and Australia. The Brazil Advisory Rating Board has rated Rime for PlayStation 4, Xbox One, Nintendo Switch, and PC. Here's the Australian classification details. A description of the game follows: Rime is a single-player puzzle adventure game about a young boy shipwrecked on a mysterious island after a torrential storm. Players must use their wits to decipher the challenges and secrets of an expansive world with rugged terrain, wild creatures and the crumbling ruins of a long-forgotten civilisation. With subtle narrative, colourful cel-shaded artwork and a sweeping score, Rime offers players a meaningful journey filled with discovery. 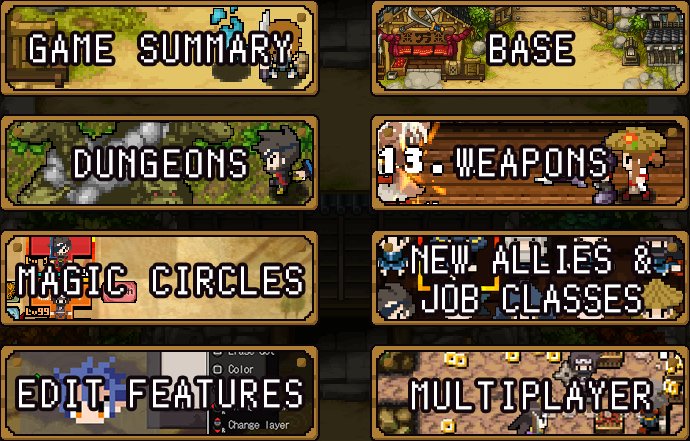 Cladun Returns: This is Sengoku is promising to be a really good fun little retro-themed game. To be published by NISA in 2017, pixel fans have a lot to look forward to in a franchise that is often tragically forgotten about. To help get us all excited, NISA has provided a couple of fun little graphics that show of some of the game's systems. Take a gander and then get excited - 'cause we sure did! You can read more about it on the game's official website. Look, if you've still got some games in your backlog from 2016, you better hurry up and get them out of the way, because 2017 is going to kick off with a bang. XSEED, those delightful localisers, have announced that Fate/EXTELLA: The Umbral Star comes to us on January 17 for PlayStation 4 and PlayStation Vita. Developed by Marvelous Inc. and expanding upon the extensive Fate universe with a story from acclaimed series writer Kinoko Nasu (of Fate/stay night fame), Fate/EXTELLA: The Umbral Star features a diverse cast of “Servants” – ancient warriors of legend and imagination, always at their Masters’ orders – who survived the Holy Grail War that took place on the Moon. In a future watched over by the all-powerful lunar super computer Moon Cell Automaton, these champions now battle for dominance over this digital realm, known as “SE.RA.PH.” This story takes place after the events described in Fate/EXTRA, and depicts the world after that previous Holy Grail War. Players will experience the story of Fate/EXTELLA: The Umbral Star from the independent perspectives of the three heroine Servants and face off against foes from a variety of Fate productions, including characters from Fate/EXTRA, Fate/stay night, Fate/Zero, Fate/Apocrypha and Fate/Grand Order, in fast-paced action. 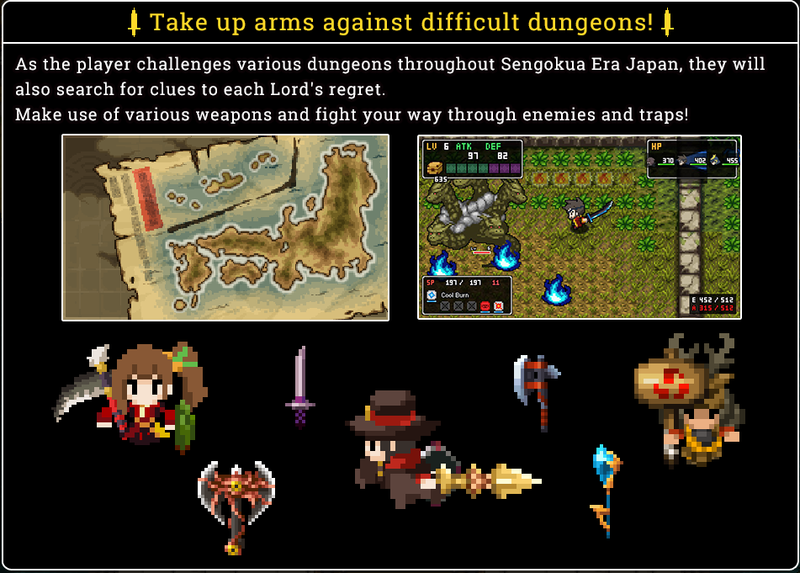 A new form change battle mechanic called Moon Crux debuts in this entry to match its series-first gameplay style, transforming the player-controlled Servants and granting them considerable powers that allow them to devastate enemies and take formidable challenges head-on. 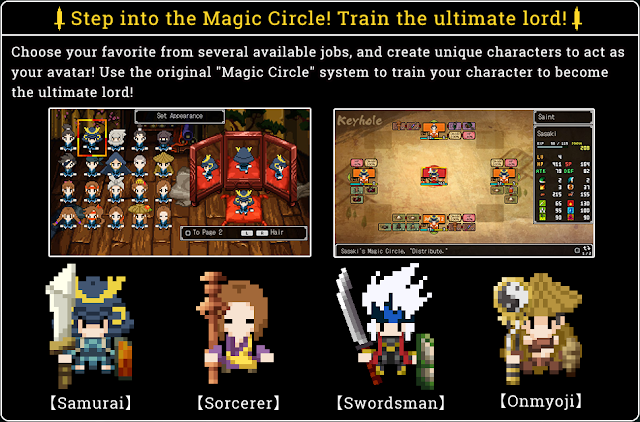 The game will contain the original Japanese voices with English text. Sounds good, right? Don't forget: January 17. It's not long away now. Hey, PC people! You finally get to play some Gust games! Of all the Japanese developers and publishers, Koei Tecmo has been one of the most supportive of the PC. Now it has announced that its JRPG powerhouse, Gust, will be releasing its first games on the platform as well. Both games will release on PC on February 7.